Presently he is Distinguished Fellow at Vivekananda International Foundation. He was Indian Ambassador to the Islamic Republic of Iran (2011-15). During his tenure, he led negotiations on Indian Participation in Chabahar Port. 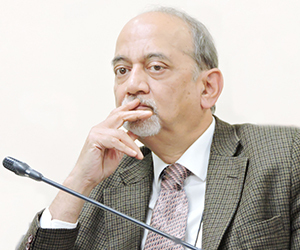 In past, he has served as Indian Ambassador to the Czech Republic (2008-11) and India’s High Commissioner to Malta. He joined Indian Foreign Services in 1978. After retirement, he served as Senior Advisor to ONGC Videsh Ltd for a year (2015-16). He holds post-graduate degree in Political Science and Governance.